I’m loving my new clutch from Big Buddha. 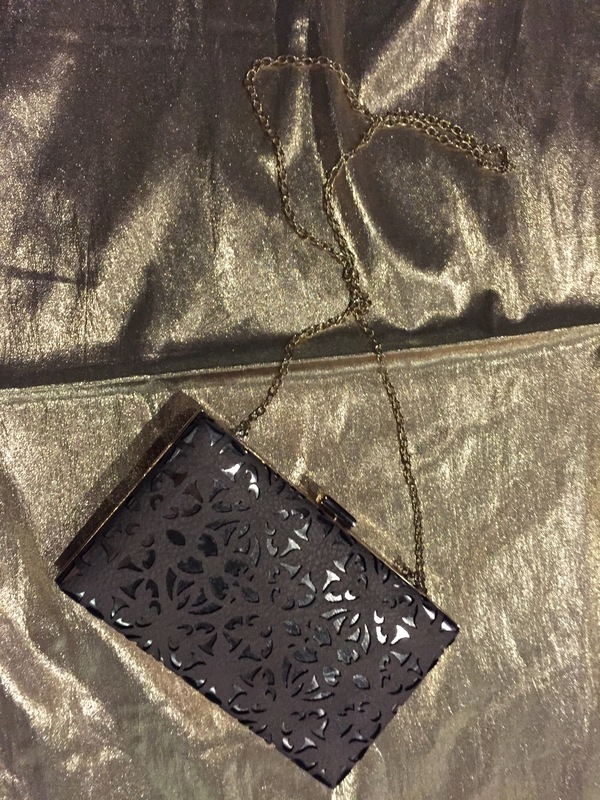 Isn’t this a cute little purse for the holidays? The funny thing with the photo is that this is actually the Big Buddha Silver Birdie (not the black and gold, as the picture makes it look). It’s really tough to find online but I found it at this cute online shop, Elemental Boutique. They are selling the black and gold version for $52.